Big Questions. Inner peace. Lol. Monkfish and DVD are friends. Well, sort of. DVD likes meat pies. And a pint. And girls. But he's often miserable. Quite reasonably, he needs to know why he's not happy. The problem is, the answers keep bringing up more questions. Monkfish reckons he knows a thing or two, if only DVD would let him get a word in and stop being difficult. He wants to blend modern science with the essence of Buddhism. DVD just wants a quick reply. Can the two quarrel their way to dealing with the Big Questions of life, the universe... and Buddhism (with a little help from the author and Auntie Joan)? And what exactly is 'inner peace' anyway? And can you still party? Dr. E Mapstone, author of Stop Dreaming, Start Living: "This book would appeal to those who are undaunted by a bit of slapstick comedy in the quest for a new meaning in life. The underlying message makes perfect sense!" Professor L. Todd, Newcastle University: "Dr Mellor's highly entertaining and informative introduction to Buddhism is also deeply scholarly... Certain to inspire." With this gem of a book Nigel Mellor has delivered something that is simultaneously light and funny and packed with sincerity and wisdom. Really looking forward, (in a non-craving, equanimous kind of way), to the film animation of this book! 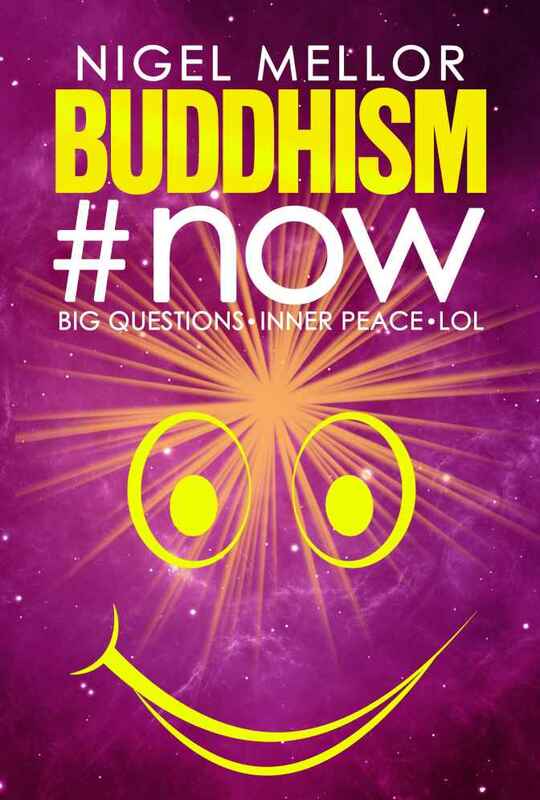 A fantastic, funny, insightful read in to the world of Buddhism alongside Psychology. Superb!